Alec Baldwin has played many roles in his career, but he's about to take on the yugest one yet. Baldwin will play the role of Donald Trump on "Saturday Night Live" this season. The actor will play the businessman turned candidate at least until the election, according to a source with knowledge of the casting. The sketch series, which kicks off its 42nd season on Saturday, released a video on YouTube Wednesday that has Baldwin donning the famous hair and expression of Trump. The short clip promotes Baldwin's Trump going toe to toe with Kate McKinnon's Hillary Clinton. Baldwin isn't a newcomer to "SNL" by any means. The actor has hosted a record 16 times and has popped up in Studio 8H for cameos from time to time. Baldwin played Democratic candidate Jim Webb in a sketch last season. Before Baldwin, Trump was played by Darrell Hammond, who is also the show's announcer, as well as Taran Killam, who is not returning to the show this season. This isn't the first time that "SNL" has brought on someone from outside to play a famous political figure during an election year. During the 2008 election, former cast member Tina Fey returned to the show to play vice president candidate Sarah Palin. Then, earlier this year, "Curb Your Enthusiasm" star Larry David played Senator Bernie Sanders. "SNL" normally has its season premiere in September. This year's October start date is a direct result of the election season. 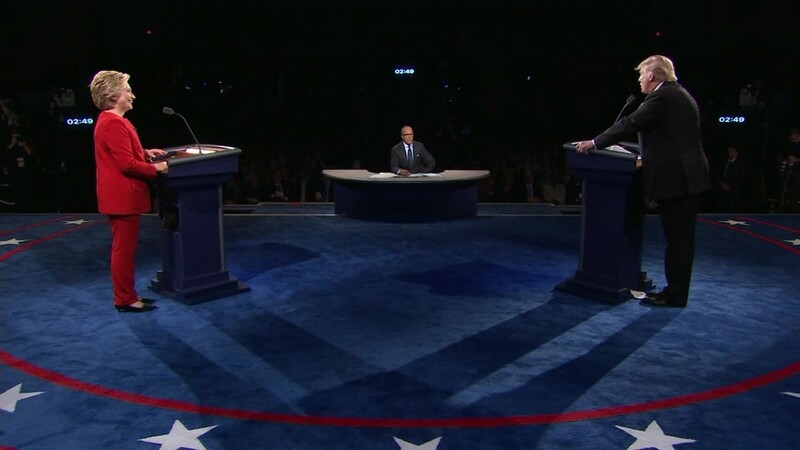 Showrunner Lorne Michaels recently told CNNMoney that he felt the show had to wait for the first debate to happen before coming back on the air. The season premiere of "SNL" will be hosted by Margot Robbie.